Dream of living by the beach often, do you? Well, that may take some time, so meanwhile, let’s at least get your hair to look and feel like you have the spent the entire day at the beach. What can help you do that? Sea salt sprays!! Sea salt sprays make your hair raw, relaxed, breezy, and bouncy. Exactly like how it would look like if soaked in seawater and warmed in the sun. Ah, already want your hair to look like that, don’t you? Then, quickly go through our top 15 sea salt sprays for the hair and choose the one that suits your fancy. 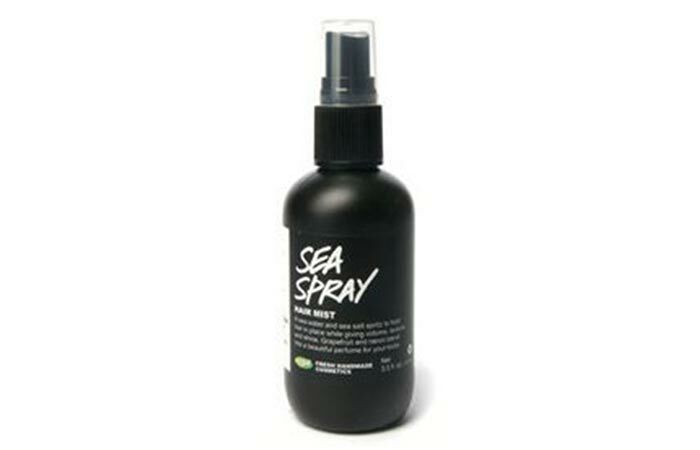 Lush Sea Spray Hair Mist gives your hair beach like waves and controls the frizz and flyaways. It keeps your hair refreshed the entire day. The spray improves the shine and texture of your hair. 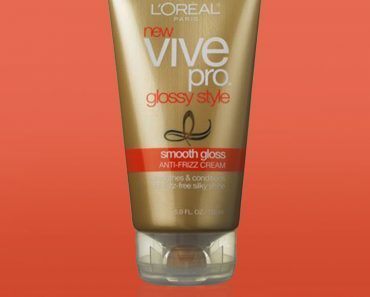 The product is volumizing, and you can use it any time of the day to restyle your hair and feel fresh. 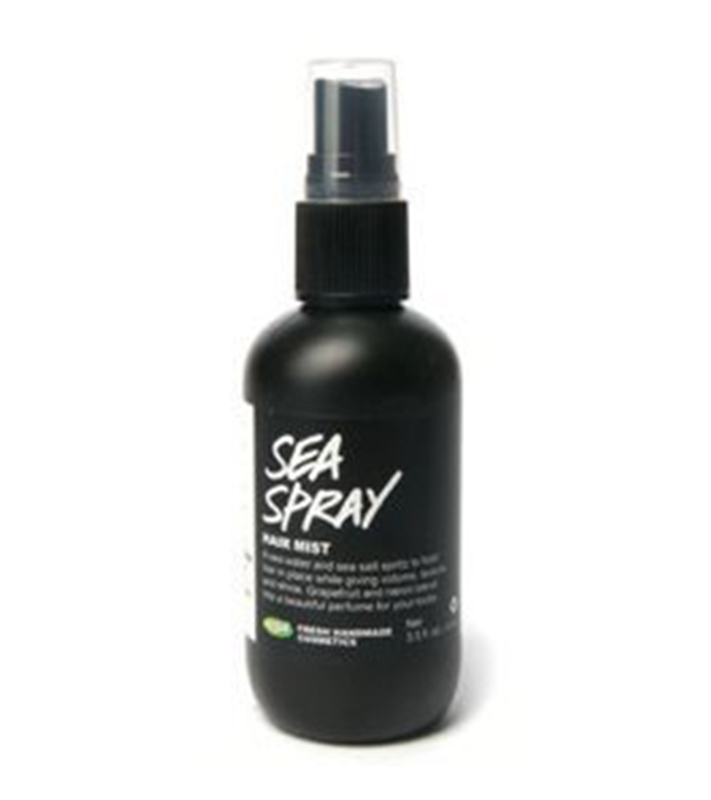 The spray contains sea water, fine sea salt, and a few essential oils thatnourish your hair good. Spraying too much will make your hair heavy and sticky. 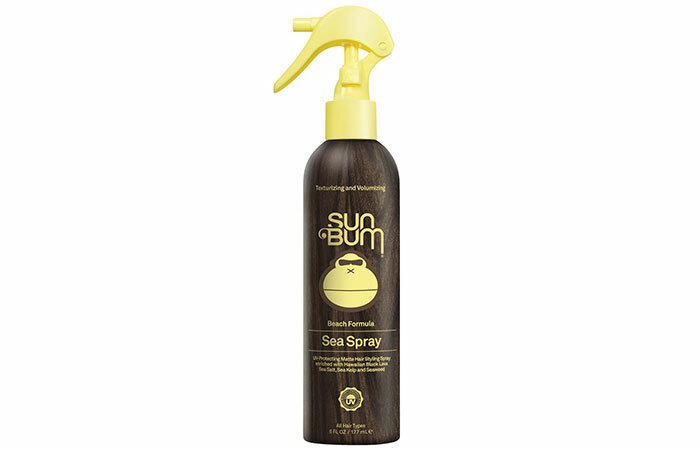 Sun Bum Beach Formula Sea Spray is lightweight and made from Black Lava sea salt sourced from Hawaii. It gives you the perfect windblown and tousled look. 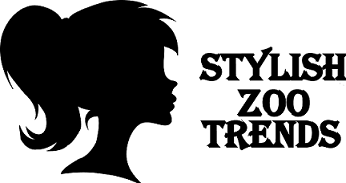 The spray cleans, protects, and styles your hair. It adds body to your hair and gives it a matte finish. It works perfectly to provide you with a beachy windswept hairstyle. 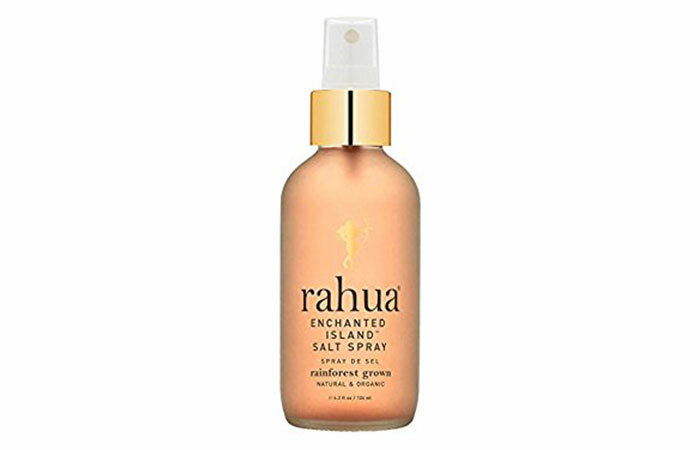 Rahua Enchanted Island Salt Spray gives you perfect wavy beach hair, adding the right texture and volume to your hair. It contains natural pink sea salt, hibiscus, and passion fruit. The spray helps you achieve loose and attractive beach waves. It keeps your hair light and bouncy. John Frieda Beach Waves Sea Salt Spray in your hair reminds you of the beach. It gives you the perfect waves that ripple like the sea waves. The spray works for any hair length and texture. It is infused with sea salt and feels good in the hair and to touch. Philip B Maui Wowie Beach Mist contains pure orchid and kukui oil. It provides your hair the necessary volume and voluptuous bounce for gorgeous beach waves. The spray thickens the hair cuticles and adds fullness to your hair. The aloe vera and algae in itmake your hair strong. 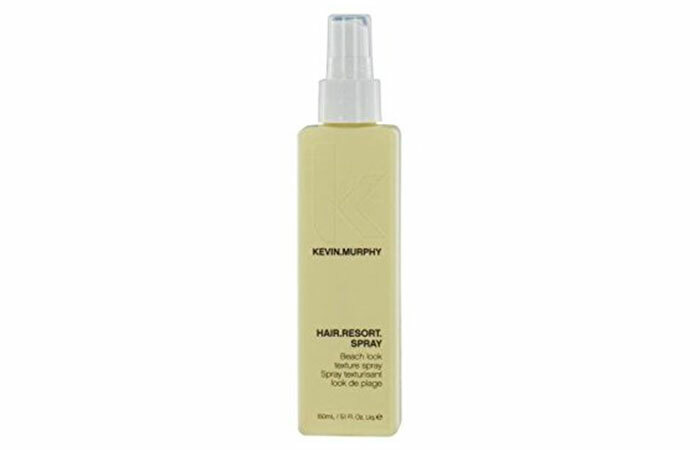 Kevin Murphy Hair Resort Spray gives you an excellent messy beach look. It has a firm hold on the hair. 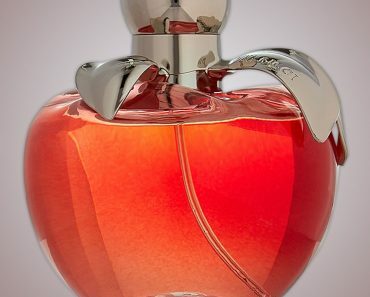 The spray contains honey, citrus, and tangerine that enhance the texture of your hair and add softness to it. 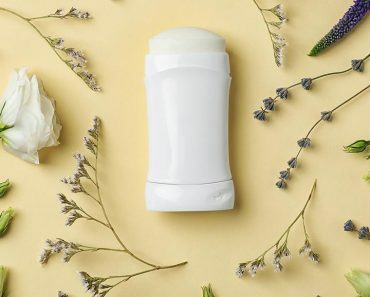 Need to use it with another product. Philip Kingsley Instant Beach Texturizing Spray gives you good volume and does not cause breakage. It gives you perfectly dreamy beach waves. The spray does not make your hair knotty and keeps it soft and touchable. It has a conditioning formula that keeps your natural hair texture intact. Works on all hair types. 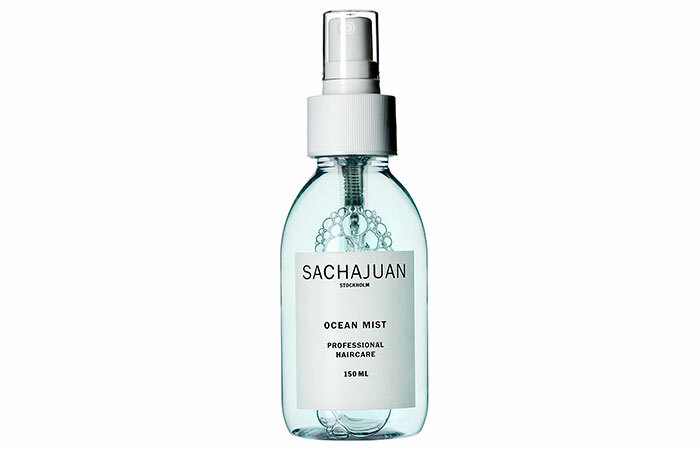 Sachajuan Ocean Mist has ocean silk technology. It is a leave-in mist that gives you those desired beach waves in no time. The spray contains proteins and minerals that build strand strength and protect your hair. 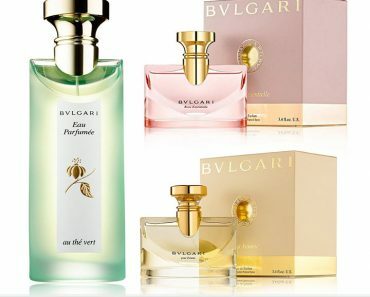 It also contains algae-based extracts that are unique to the product and take your styling experience a notch higher. Does not work well on thin hair. 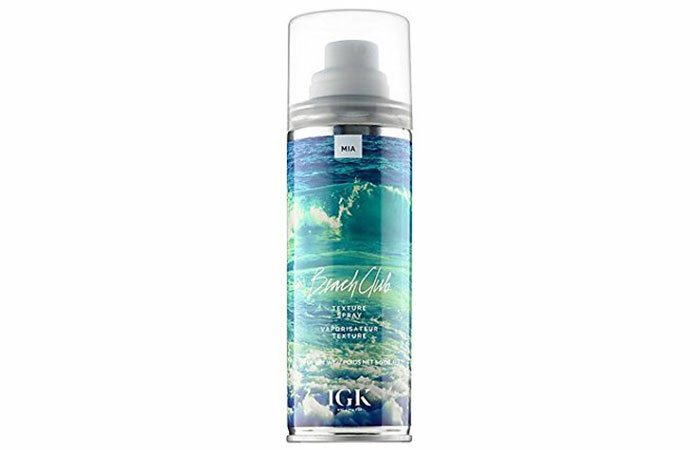 IGK Beach Club Texture Spray has a texture that is one of a kind and gives you a windswept look. The spray adds an underlying beach wave touch to your hair, improving your overall look and adding a bounce. Makes hair stiff and coarse. 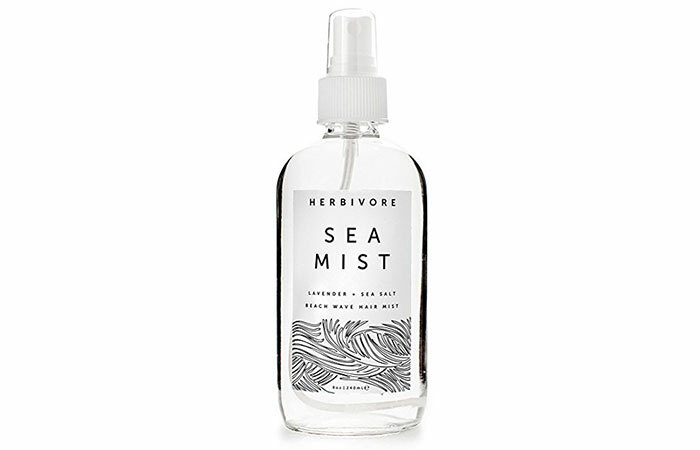 Herbivore Sea Mist contains the same salinity as ocean water. It can add the perfect zing and bounce to your hair. It adds natural-looking waves and a beachy texture to your hair. It contains sodium chloride, essential oils, aloe vera, and water to help you achieve the perfect beach look. 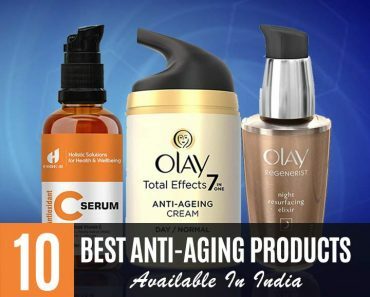 Need to apply a lot of product. 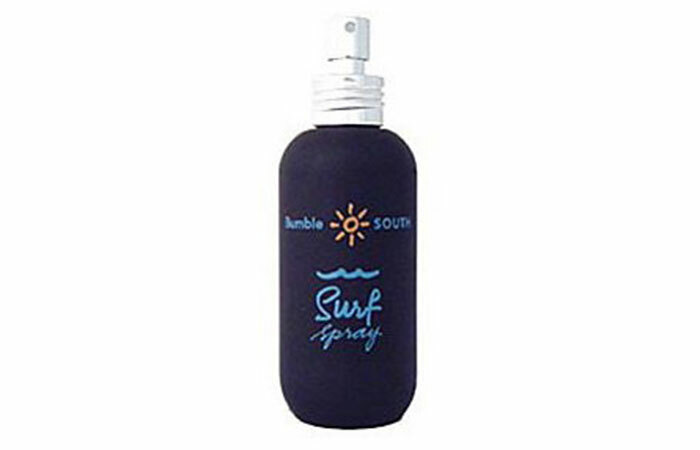 Bumble Surf Spray has seaweed extracts that keep the moisture in your hair intact. It gives you an attractive windblown look. The spray provides you a neat matte finish and makes for an excellent product to add volume to your hair. 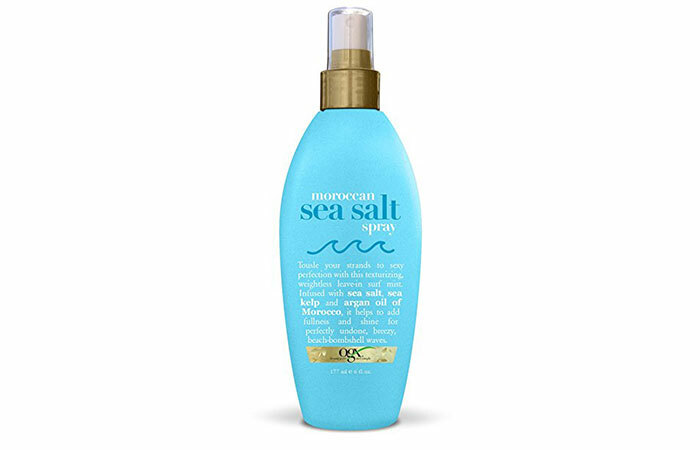 OGX Moroccan Sea Salt Spray is a leave-in surf mist that contains sea salt and argan oil. It adds fullness and shine to your hair. The spray is perfect to use all through the year for soft beach waves. It helps you attain a casual, messy, and undone look for your hair. Does not work well on all hair types. 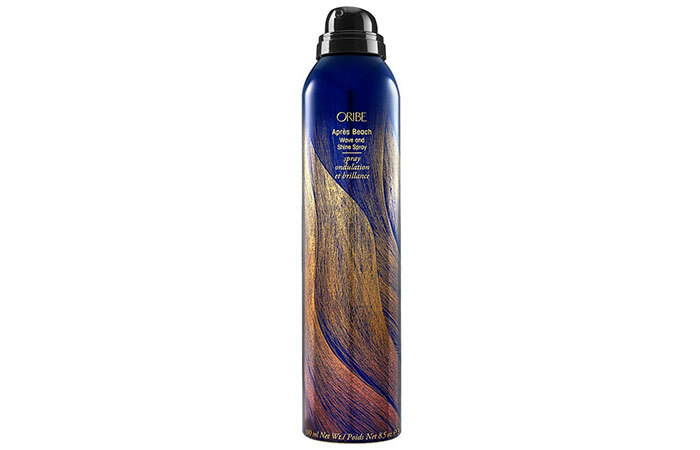 Oribe Apres Beach Spray is your product for perfectly textured hair. The spray is nourishing, moisturizing, and repairing. It adds the right amount of drama and bounce to your hair. 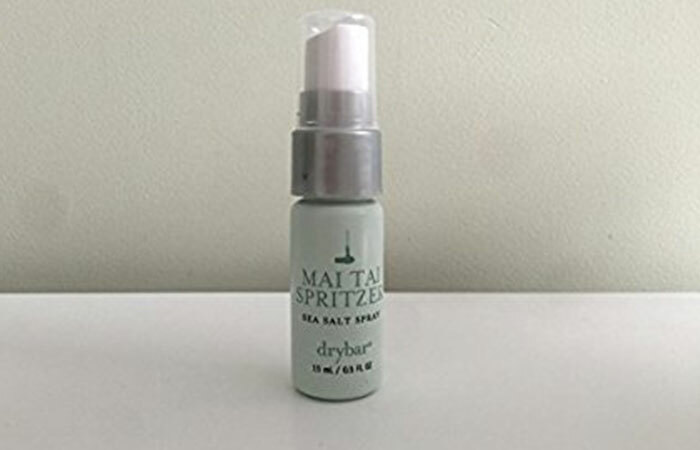 Mai Tai Spritzer Sea Salt Spray helps you achieve a breezy look in a jiffy. It contains aloe vera, algae, and real sea salt that punk your hair up. 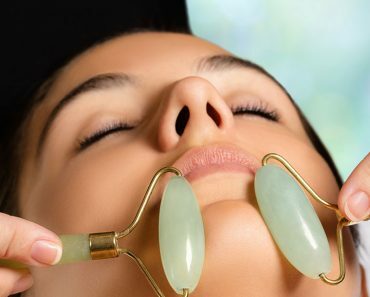 Using this will give you the feel of having spent the entire day at the beach. Toni and Guy Casual Sea Salt Texturizing Spray polishes your hair and adds shine to it. Spray the product onto your hair for a tousled and just out of bed look. The product adds a grainy texture to your hair, making you feel natural and raw. Can feel clumpy on hair.